So I’ve been feeling very uninspired to blog this past week. I’ve been cooking up a storm and even have a list of foods I’ve made that I want to share….but I just couldn’t get myself to sit down and share my thoughts. However tonight I made these really good butter cookies appropriately called “Meltaways” because they literally MELT IN YOUR MOUTH!!! One of my employees had asked if I would be so kind to make cupcakes or cookies for her classroom’s picnic tomorrow. Since I had just made cupcakes for them I wanted to do something different, however I was met with a challenge since the Individuals we serve have various degrees of developmental and physical difficulties and quite a few of them cannot eat regular food such as a cookie. I was determined to come up with something so I set out on Google and searched for soft cookie recipes. I came across these Meltaways at a blog called Landee See, Landee Do. I followed the recipe pretty much exactly, however my method of adding the ingredients was a little different based on some of the comments that I’d read from others who had tried to make these. I also doubled the recipe and I got almost 5 dozen cookies out of it (unfortunately I wasn’t really focused on making them all similar in size so some got a little bit on the larger side). They came out great and are the perfect texture for our Consumers with special food texture requirements. 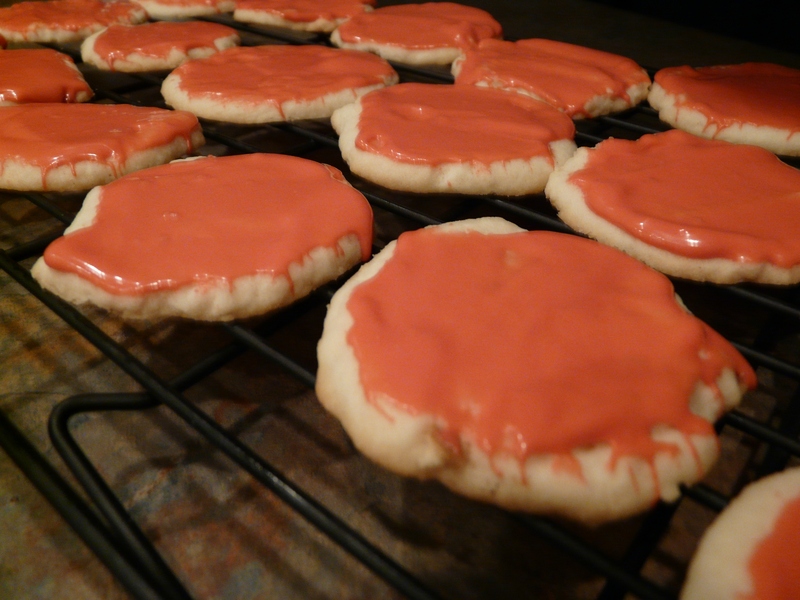 These were really easy and quick to make and are a nice change of pace from the usual cookie recipes you come across. Using a mixer beat butter on medium speed until light and fluffy. This will take a few minutes. Stop one time to scrape down the sides. Add the sugar and beat well until combined. Add the cornstarch a little bit at a time and beat until well blended. Mixing on low speed, add the flour 1/2 cup at a time. Dough should be thick and manageable. If it is too thin add up to the full 2 cups (I used just under 2 cups, about 1 3/4 c.) if it is starting to get crumbly you’ve added too much. 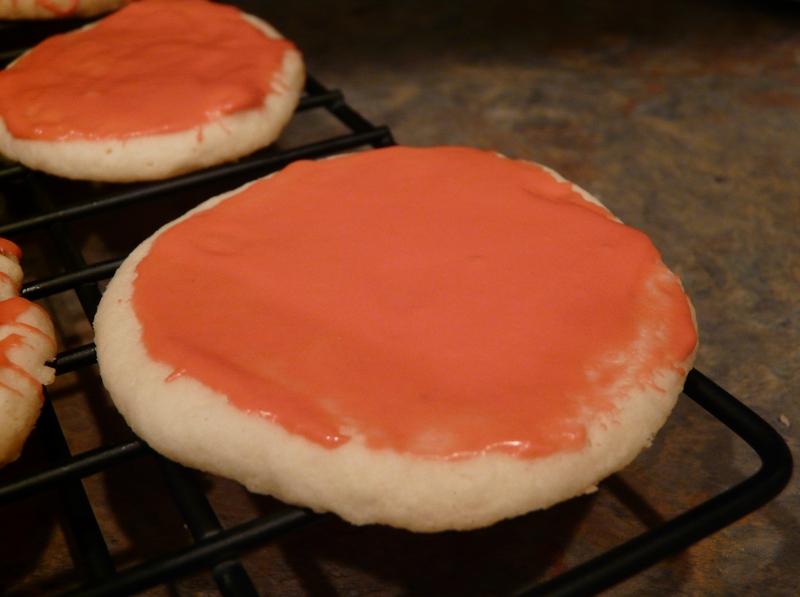 Drop spoonfuls of dough onto cookie sheets and gently flatten with the palm of your hand. Bake in a preheated oven at 350 degrees F for 8 minutes. 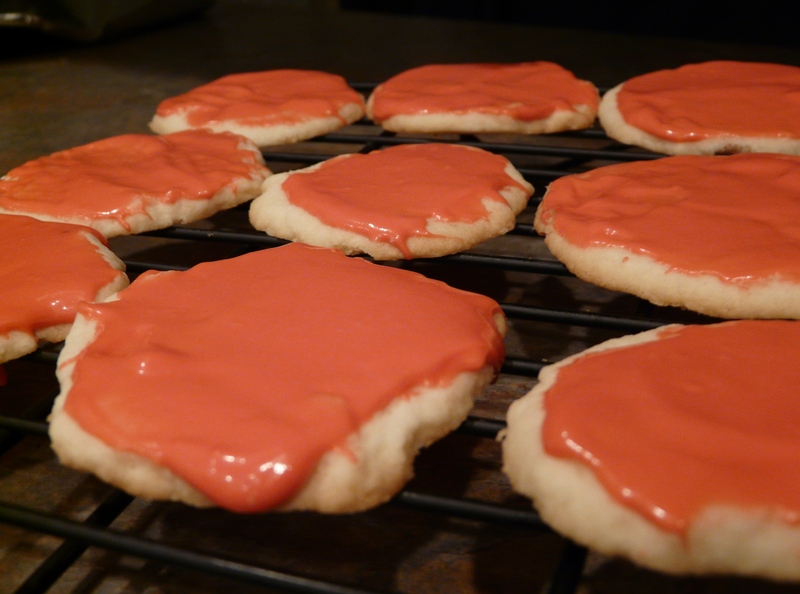 Remove from oven and let sit for 2 more minutes, then remove cookies from cookie sheet to a wire rack to cool. Cool completely and add frosting. Be careful when handling these cookies as they are quite delicate! Add all ingredients to a mixing bowl and beat on medium speed until well combined.